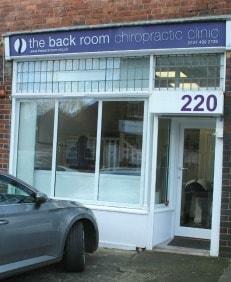 The Back Room Chiropractic Clinic is located in the heart of Moseley, Birmingham and provides first class chiropractic care predominately for people living in the Moseley, Edgbaston, Kings Heath area. However, our doors are open to all and we have clients travelling to our clinic from many areas of Birmingham and Solihull and further afield. Please see the Google map below for details on where we are located and to find out exactly how to get to us from where you are. If you are travelling by car, there are a number of car parking options, including free parking, please check below for further information. The Back Room Chiropractic Clinic is also readily accessible via a number of bus routes, with bus stops less than a minute away from our front door. See below for further details and links to bus timetables. 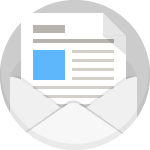 If you have any questions about how to find us or any query at all, please feel free to call us on 0121 439 2726 or contact us online and we will be happy to help you. General Tip – To Avoid Traffic Queues! If you are approaching the clinic from Edgbaston Cricket Club ( B4217 Salisbury Road), to avoid a lengthy queue at the crossroads with the Alcester Road, you can turn right into Amesbury Road, then turn left at the end into Reddings Road. At the end of this road you can turn left onto the Alcester Road and the clinic will be 200 metres on your right. We have an off road parking bay directly in front of the clinic. If you park here, please ensure you do not block the pedestrian pavement. After 5.30 pm it is possible to park in front of our neighbour’s property (MIA property) if their space is empty. Between the hours of 10am and 4.30pm you are able to park, without payment, on the single yellow lines on the Alcester Road in front of, and the same side of, the clinic AND across the road from the clinic (heading into Mosely Village). Usually there is ample parking available for patients between these hours on the Alcester Road. However, please do note, free parking on the Alcester Road is restricted and is NOT allowed outside of the time period 10am to 4.30pm. You are likely to be fined if this parking restriction is ignored. There is also unrestricted parking on nearby Tudor Road and Farquhar Road (on the same side as the clinic) and on Reddings Road, which is 200m up on the opposite side of the clinic heading towards Kings Heath. If you prefer, there is a Pay and Display Car Park in Moseley Village (opposite the Post Office) which is just a couple of minutes walk to and from The Back Room Chiropractic Clinic. Numbers, 1, 35 and 50 all stop in Moseley village within minutes of the clinic. The 35 and 50 can be caught if you are travelling from the Kings Heath and Maypole area, or from Birmingham City Centre. The number 1 can be caught from Birmingham City Centre, near Fiveways or from the Acocks Green end of Birmingham.